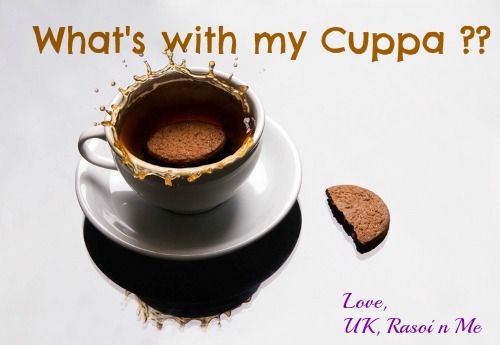 Hi friends, I am back with the event “Whats with my Cuppa?” After the success of the first Roundup, with a whooping 118 entries to select from, lets come up again with some fresh ideas for the snacks to have with our good old Chai/Coffee. .. For the first roundup, please see here. Please try fresh recipes, though Archived recipes are welcome. lovely event Nupur..Linked my entries..will try to link more..
hey Nupur I linked my Vegan Chocolate Avocado Banana Bread post but for some reason its not showing up. Hi Nupur, This is my first time participation in this event. Sounds wonderful. Have uploaded two posts. Here’s wishing you success. Linked my recipe…what i like the most about your event is the rules are very simple :-)…..also posting your event details on my Google+ community “Online Food Blog Events” so that more people get to know about this event.